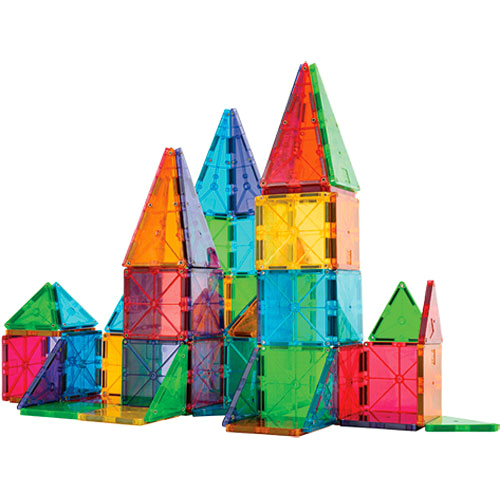 Think stained glass. 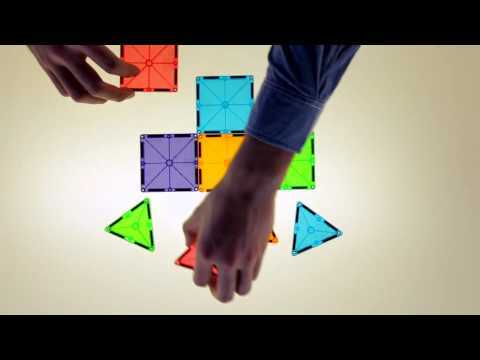 Think triangles and squares. 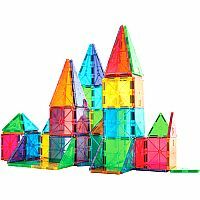 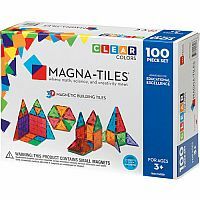 Think of the hours kids will spend in tactile, open-ended exploration of shapes, colors and patterns Magna-Tiles are amazingly simple: squares in two sizes and three kinds of triangles, magnetically engineered so that they attract on all sides, even when flipped around. 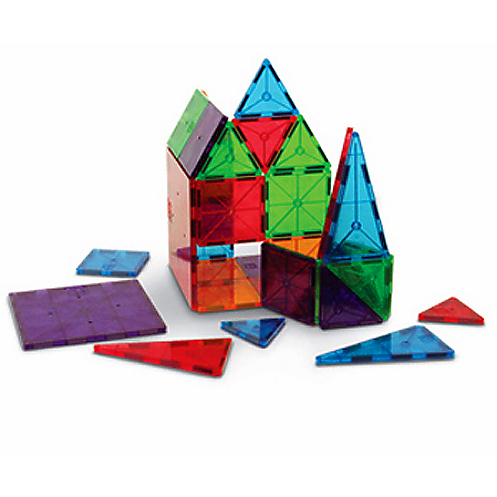 So simple, a young child can easily create designs on a flat surface or build upright structures. 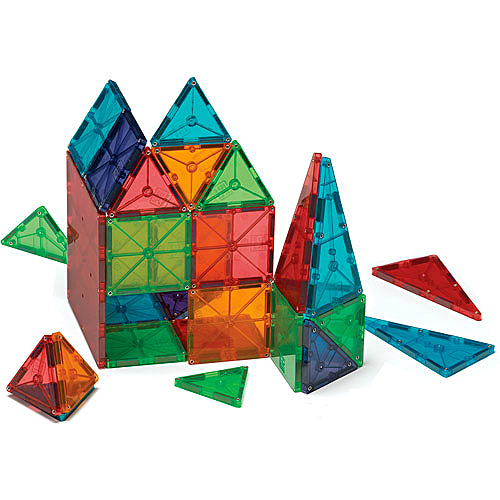 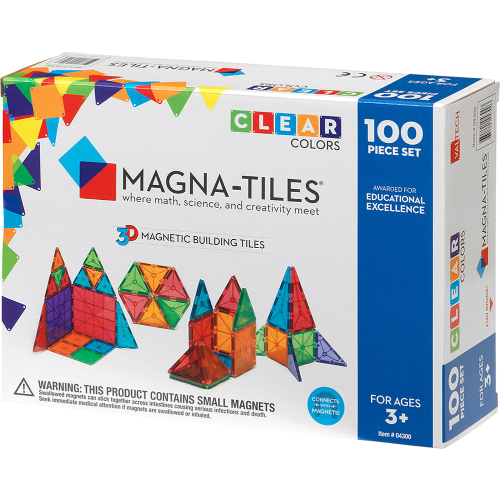 So ingenious, this Magna-Tiles Clear Colors - 100 Pc Set teaches basic math and it's fun! 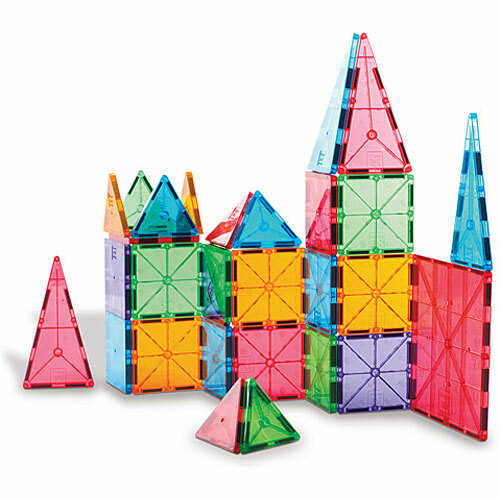 Mesmerizes younger kids, and challenges older ones. 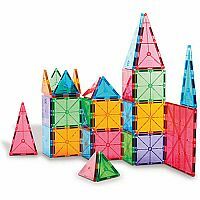 Measures approximately: 12.00 x 8.50 x 3.00 inches..